All 12 H&R Block coupon codes have been verified and tested today! Everyone knows filing can be taxing. Make it cheaper and easier with an H&R Block coupon code. Always on the go? Don’t slow down your pace just because you have to file taxes. Download the H&R Block mobile app and save time while you save money on your taxes on the go. You can upload and organize your tax documents right from your phone. With the tax prep app, you’ll be able to easily complete your full tax return directly on your mobile device. You’ll also be able to get help whenever you need it with experts on standby. Download these apps from the App Store, Google Play Store or on Amazon. Join the newsletter to get all of the important tax tips you need to save the most money when you file this year. Find out what services best fit your needs and get access to the latest H&R Block coupons and deals as soon as they come out. Understanding taxes and staying updated on the changes of filing each year can be daunting. 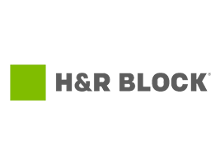 H&R Block has all of the resources so that you stay on top of your taxes and don’t ever get overwhelmed. Check out the Tax Institute online for news on all things tax related from H&R Block tax exerts. You have control over where your refund goes. You can choose for your refund to be deposited into your bank account, credited to your H&R Block Emerald Mastercard, or receive a check with your refund amount. You can rest assured with these guarantees. If there is an error on your tax return when you use H&R Block’s software, you’ll be reimbursed for any penalties that result. If you discover you were entitled to a bigger refund, you’ll be refunded the fees you paid and can make changes using the H&R Block software at no additional charges. H&R Block will also help you understand any notifications you receive from the IRS about the tax return you filed with them. There’s no need to stress about losing money when you use these reliable filing services. The Tax Information Center located online at H&R Block is a great place to get started when you need to file. Figure out what services make the most sense for you, then find an H&R Block promo code to save on the premium services available.